Use Sparkling Logic to predict and automate which claims should be paid automatically and which need to be referred based on historical data and predictive decision models. Rapidly capture, build and deploy accurate decision models to automate and improve claims reviews leading to savings. Determine which claims to auto pay vs. to manually adjudicate based on historical data and know-how. Increase customer retention by shortening time to pay and improving the accuracy of claims decisions. Capture and apply the expertise of top claims adjusters, freeing up the most experienced adjusters to focus on complex cases. 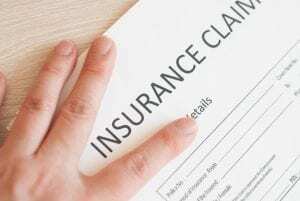 Many insurance claims are processed manually; requiring costly use of experienced human resources, slowing processing times, and producing inconsistent results. This can reduce customer satisfaction and retention rates while increasing processing and claim costs. Combining multiple data and decision sources and applying AI/Machine Learning techniques, Sparkling Logic allows you to quickly build executable claim decision models. Using sophisticated decision analytics, the claim processing results and model performance can be instantly evaluated. The deployed decision service can be rapidly modified for continuous improvement to reduce the time and cost of claims processing while increasing customer satisfaction and retention.